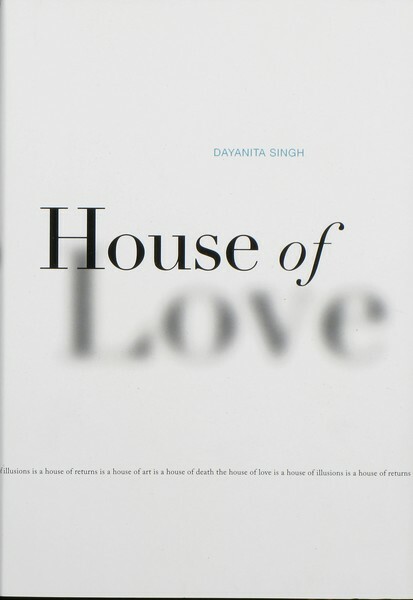 House of Love, Photographs by Dayanita Singh. Published by Radius Books, 2010. Photographs by Dayanita Singh. Prose by Aveek Sen.
Radius Books, 2010. Hardbound. 172 pp., 106 color and black & white illustrations, 6-1/4x9-3/4". South of Delhi, in the plains of Uttar Pradesh, the Taj Mahal stands as a testament to love and devotion. Built by the Mughal emperor Shah Jahan in memory of his beloved wife, Mumtaz Mahal, who tragically died in child birth, the iconic mausoleum took over twenty years to construct. By the end of its construction, Shah Jahan himself was deposed and eventually buried next to his wife -- forever resting with his beloved. In addition to hosting millions of visitors a year, the Taj Mahal has come to represent not only the love of a king for his queen, but the rich and diverse culture of India itself. As a mirror, the Taj Mahal reflects not only stories of love, but also the complex stories of Indian life -- both past and present. The photographer Dayanita Singh's latest book House of Love uses the Taj Mahal, or 'house of love,' as a thread to tie nine photographic stories together. Well-known for her photographic books, such as Sent a Letter and Blue Book, Singh's work is particularly well-suited to the intimacy of the book. While her work has always had a poetic and literary quality, that relationship is even more apparent in this latest book where her work is paired with prose by Aveek Sen.
House of Love, by Dayanita Singh. Published by Radius Books, 2010. Explicit narrative aspirations in photography rarely work. Too often narrative structures pin down the meaning and trajectory of the work -- rather than allowing the images to speak, breathe and offer their own meaning. In the case of Singh's latest book, her work fortunately does not fall into this trap. Arranged with roughly ten images in each, the book's chapters include -- Continuous Cities, Portrait of a Marriage, Departure Lounge and Being In Darkness. Images of nocturnal cities, dioramas, various manifestations of the Taj Mahal, and night reoccur. Although each chapter has its own tone, these repeated motifs invoke the historical ghosts, edifices and myths that haunt everyday Indian life. Well-known for her black & white work, Singh has increasingly turned to color -- in particular, the colors of night -- to explore the world. Both color and black & white are blended in the book, which adds texture and emotional range to the nine stories. Careful attention is also paid to the design of the book, which smartly incorporates the text and images. Upon first glance, Sen's incantation and riff on the title of the book -- "a house of love is a house of illusions is a..." -- encircles the dust jacket and draws us into the book. Trailing inwards along the end papers and book, Sen's circular chant suggests the poetic potential and multi-layered meaning of the titular house and Singh's images. Tucked in the back of the book on beautiful cream-colored matte paper, Sen's poetic essays mirror Singh's images in their exploration of contemporary life, history and photography. Adam Bell is a photographer and writer based in Brooklyn, NY. He received his MFA from the School of Visual Arts, and his work has been exhibited and published internationally. He is the co-editor and co-author, with Charles H. Traub and Steve Heller, of The Education of a Photographer (Allworth Press, 2006). His writing has appeared in Foam Magazine, Lay Flat and Ahorn Magazine. He is currently on staff and faculty at the School of Visual Arts' MFA Photography, Video and Related Media Department.